GREAT Product!!! A+++ Would gladly order from again. Fast shipping. Great to deal with. Thank you. Super ebayer!!!!!! Exactly as described!!! After the other ones of course. I love a mix of my favorite from different albums but this definitely steps it up a notch. 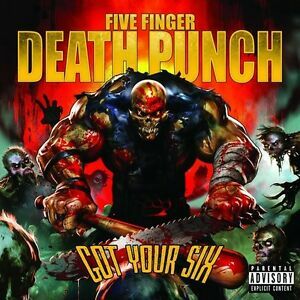 Can't go wrong with 5FDP!! My husband and I are huge 5FDP fans. I purchased this album because after researching the list of tracks online, I found it contained a lot of our favorite tracks. One track in particular, I Apologize. However, once we received the CD, it DOES NOT contain this track. Other than that, it is a GREAT CD. If you don't mind the missing track, I would highly recommend it! happy with the transaction and love the sound of f.f.d.p.